Whether solo or two-up the Rocket III Classic is a motorcycle that is perfect for those who wants thrills laced with a bit of chill. The Rocket III Classic is the perfect bike for those lazy, long haul trips. Bars are high and pulled back and the bike includes forward set footboards to stretch out on. The pillion is by no means forgotten getting an exceptionally comfortable, stitched touring seat. The 2.3 liters three-cylinder that drives the Classic has incredible levels of flexibility for effortless riding. Sophisticated fuel injection feeds in power seamlessly, with controlled acceleration on tap at the twist of a throttle, while a maintenance free shaft drive delivers forward motion. Excellent lock-to-lock movement, an incredibly light clutch and low centre of gravity make low speed manoeuvring extremely easy while the steering geometry and overall length give a securely planted feel at all speeds. Supple 43mm upside down forks and twin rear shocks add composure; twin front disc brakes with four-piston calipers and single disc rear give incredible stopping power. 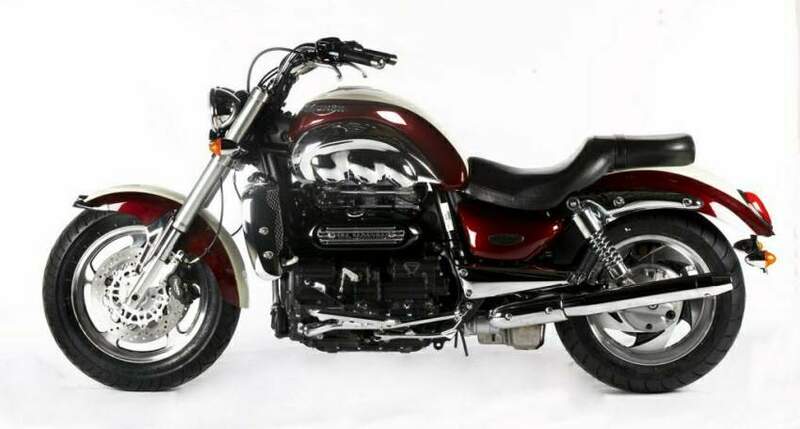 Generous Ground Clearance completes the package and the relaxed, comfortable ergonomics allow the rider to take full advantage of the range provided by the 6.3 gallon making the Rocket III Classic a perfect long distance cruiser. Do you want to go far? You can, effortlessly, with the Rocket III Classic. Why not go along to your Triumph dealer for a test ride? Then you'll find out what we mean! 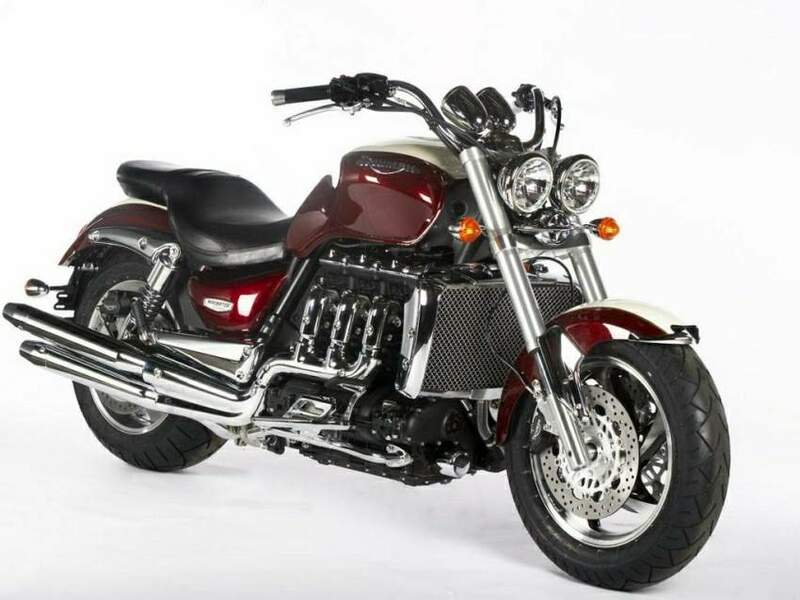 The Rocket III Classic is a true cruising motorcycle, and one firmly focused on rider and pillion comfort. It’s aimed squarely at those who favour a more laid back approach to motorcycling and features a relaxed riding position with forward set footboards, pull-back handlebars plus a supremely comfortable stitched touring seat as standard. 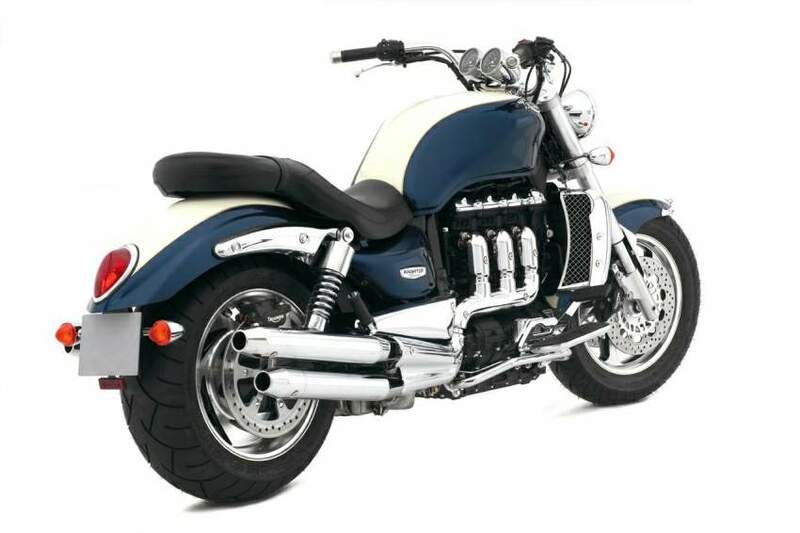 When Triumph launched the majestic Rocket III in 2004 it was to be the most spectacular flagship model since Honda's Gold Wing. The inevitable has happened and the Rocket III has evolved into a Classic version with a comfortable seat and big footboards. It still packs almost as much torque as two 999Rs, so don't let the cozy cruiser looks deceive you. That huge 2.3 litre engine is agricultural in size and is held in place by some serious frame tubes. On the move, the riding position is laid back, with a double touring seat and stretched handlebars. The powerful engine squirts the massive bike forward as if it was a 160 kilo sportsbike (did I say that already?). In the bends it is a different story, and the Classic features footboards that limit Ground Clearance even more than the standard Rocket III. You are not really bothered when riding the Rocket, as all that thrust is entertainment enough. The brakes need to be really good as a stop-and-go style is what counts on the winding roads. So a bit of braking and acceleration is necessary to keep up with your mates where there are loads of tight bends. The solid upside-down fork allows heavy usage of the front brake alone, but for optimal deceleration it's always best to stomp the right foot down as well. On the A roads and motorways the Rocket III Classic is an absolute delight. There is plenty of torque to pass cars and lorries on low revs and the directional stability is impressive. Like a bloody freight train as a matter of fact. The giant windscreen protects from the worst of the wind, but some buffeting from a little turbulence does happen at higher speeds. The Rocket III Classic seems to have a limiter in top gear that stops acceleration above 130MPH. Not that it matters, as it is much more pleasant to cruise at legal speeds and ride the monster torque curve. Curious as I am, I always seem to try though. each and are fitted with a quick release system hidden under the leather straps. The sissy bar and luggage rack are also extra, but very handy if you carry a pillion. The Rocket III is perfect for pillions with the sissy bar, and with all that torque, you hardly notice the added weight of the pillion. Few bikes get as much attention as the Rocket III. Particularly, the Classic as there are lashings of chromed parts everywhere. 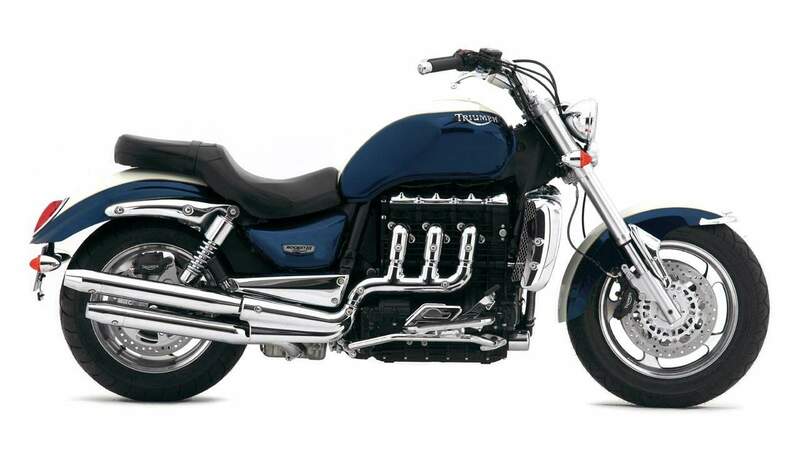 Not even pure muscle bikes come close to the mixture of power and cruising ability the Rocket III possesses. It can be whatever you want it to be in a straight line, but reminds you of its cruiser chassis in the bends. It is not bad in the bends, just heavy with limited Ground Clearance and a huge 240mm rear tyre. There are not many other bikes that can give owner satisfaction at this level. A true flagship model!